Fiber is essential to our bodies, it can help to have a good health. Plus, it has a lot of benefits like normalize bowel movement and lower cholesterol level. By taking foods, which are high in fiber, you will attain a healthy body, but to obtain such as a high amount of fiber you need to take a lot of it. Good thing we have a companion to achieve high fiber: Spectrum Naturale's Fiber Health Products. Now, cleansing is no worries using Spectrum Naturale's Fiber Health Products as you can easily detoxify your body specially your colon. Clean colon means clean bloodstreams. Clean bloodstreams means healthy glowing skin. Aside from colon detoxification, this also helps enhance your nutrients absorption, helps remove parasites, and gives you billions of probiotic supplements .Clean intestine means clean absorption. Clean absorption means clean blood. Clean blood means healthy organ and clearer skin. 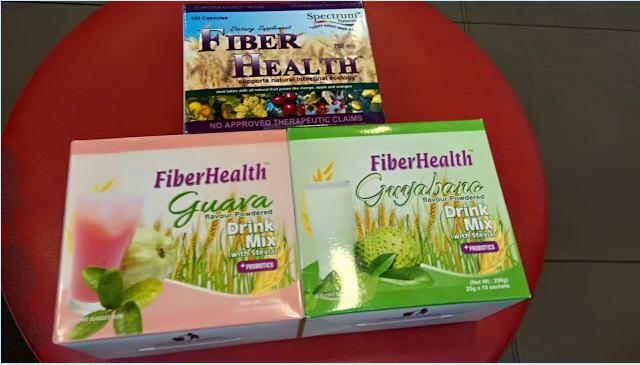 Spectrum Naturale's Fiber Health Products are in capsules for only Php1550 containing of 100 capsules, and powders for only Php 500 per box consists of 10 sachets. It is available in Guyabano and Guava flavors. Each Spectrum Naturale's Fiber Health product contains a high amount of fiber to help and gain a fit and healthy body.